Rock climbing gets into your blood. 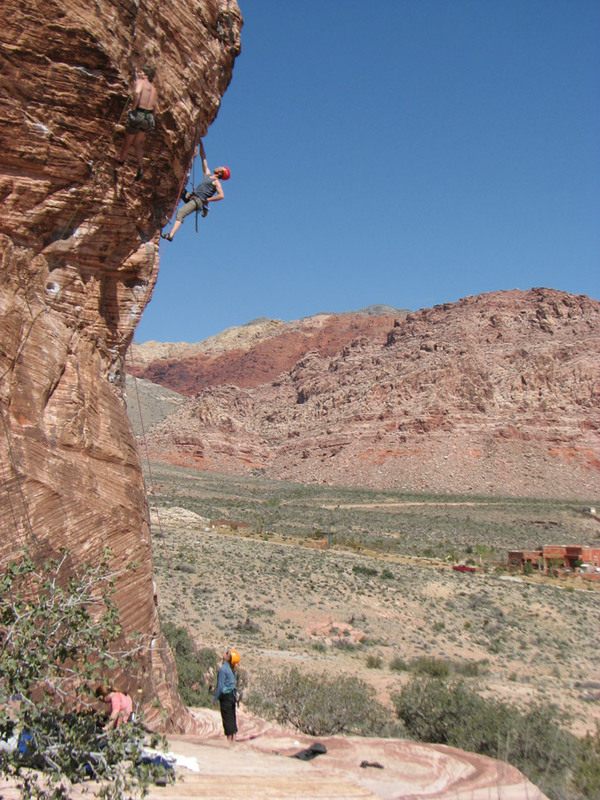 In 2007 and 2008 I was lucky enough to disappear from the ‘real’ world and follow my passion for rock climbing for nearly 2 whole years. The itinerary for the trip was pretty simple, 2 months in Thailand, 10 Months in Europe and 9 months in Canada and the USA. Having climbed for 15 years prior to the trip and being a serious climbing nerd I had a very long list of climbing areas that I wanted to visit, far more than I could visit while still doing justice to the areas I did visit. 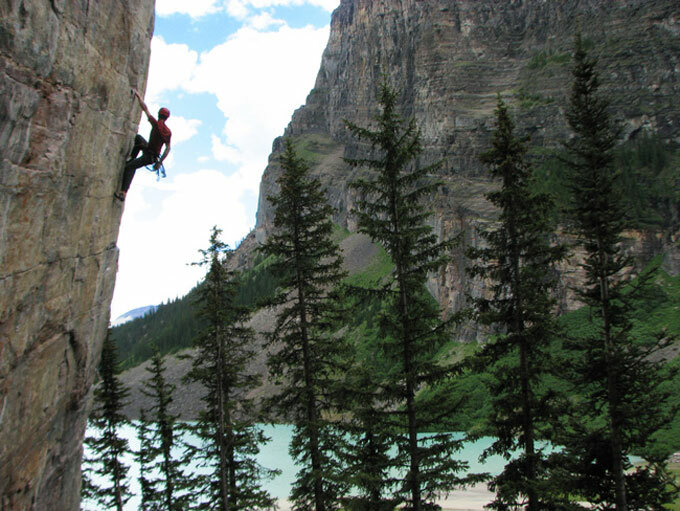 Choosing my 5 Favourite climbing areas is a bit like choosing you favourite child or beer or chocolate i.e. it’s impossible!!! Especially when there are so many places I haven’t been yet. In saying that here are my 5 favourites so far. James on Due Line 5.11c. Lake Louise. Canada. Most climbers will have heard of Fontainebleau (Font) and for good reason as it’s hard to imagine a more ideal bouldering location. Font is massive and by massive I mean MASSIVE, there are literally 10,000’s of boulders spread over a huge area, I was there for 3 weeks and I feel like I didn’t even scratch the surface of areas to visit. Add to that generally flat sandy landings and a huge variety of climbing styles no one could ever climb everything in Font. Now I know that bouldering is not everyone’s cup of tea but possible one of the best endorsement’s I got for Font before I left was from one of my best mates who has really doesn’t like bouldering and he loves the place. 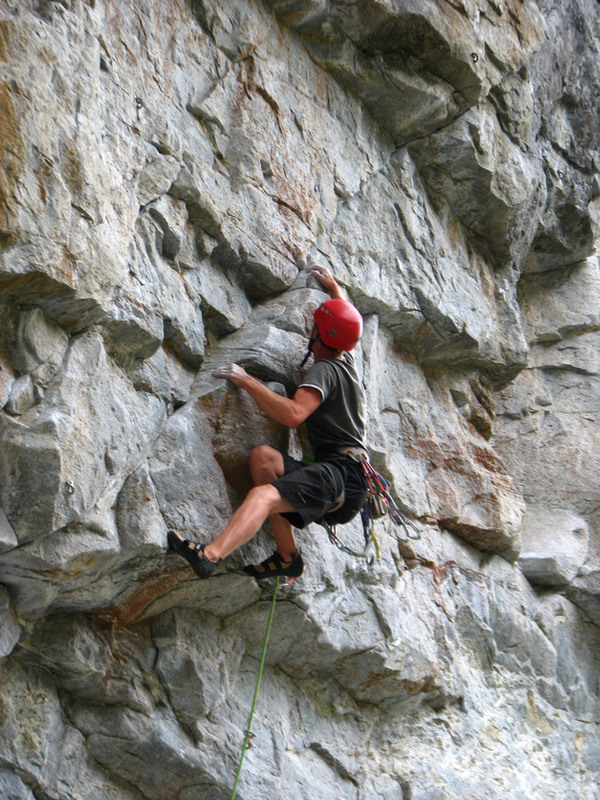 The predominant climbing style in Font is slabby with no holds which will cruelly expose the strong who don’t have good technique, or, in my case the not so strong with average technique. Just about everyone who has been to Font has a story of being humbled by a local, mine was after nearly an hour of falling of a relatively moderate boulder problem a gentleman in his (at least) 60’s politely asked to have a go, he proceeded to walk up the problem, all of this done with a cigarette hanging out the corner of his mouth. And as an added bonus Paris is only 1.5 hours away on the train so rest days were happily spent doing the touristy things in Paris. I was torn between having Yosemite or Red Rocks in this list, both places are amazing and should definitely be on any climber's bucket list. I ended up choosing Red Rocks because I had more fun there, which is not to say I didn’t have fun in Yosemite I just personally found the climbing in Yosemite very challenging and the rules and the busyness very frustrating. Red Rocks to those who don’t know is just outside Las Vegas (the urban sprawl of Vegas is currently about 4 km from the park entry) and the wilderness feel provides an amazing contrast to the bright lights of Vegas. The climbing is on sandstone which at times felt very similar to my beloved Grampians and Red Rocks has the lot, short sport routes, long sport routes and traditional climbing as well. For me the highlights were the long sport routes, a typical day at Red Rocks will involve 1-2 hours approach followed by 6-10 pitches of great climbing. Sometimes you walk off sometimes you abseil either way you feel really out in the wilds and then as dusk starts to set all the lights of Las Vegas appear over the horizon reminding you that you celebratory Slurpee is only a 5 minute drive away. Skaha is a little different to what most people would put on a list like this, its not a big area and most international climbers have never heard of it but its great! Skaha is probably best known as the place to go when its raining in Squamish (a very common problem, it rained for two weeks solid over the month I was there) Skaha is a beautiful spot overlooking Penticton in the Okanagan Valley of British Columbia. The climbing is mostly single pitch with a nice mix of sport and trad climbing and the locals were so excited to see international visitors to their little area that I was constantly getting invited to dinners while climbing there. The beach sux, it's dirty, it smells bad, it's too busy, you're pretty much guaranteed to get sick at some point and all the climbs are really polished but I still love Ton Sai!! 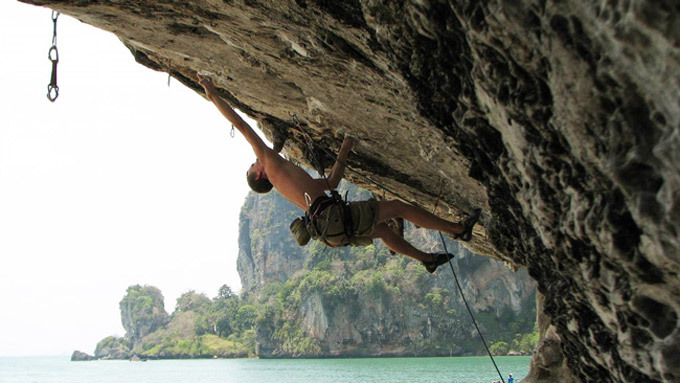 I’m not alone in this assessment of SE Asia's most popular climbing area. I’ve been to Ton Sai on two different trips now and will go back there at the drop of the hat. Ton Sai is one of those places that you get in developing nations where its popularity has created its problems – at least they have worked out why the bolts kept snapping!!! When in Ton Sai you will see climbers from all over the world with all levels of ability pushing themselves and all sharing a Singha Beer watching the sunset in what many people call paradise. The Grampians is my favourite place in the whole world, not just for climbing. When I am there I feel a connection to the environment that I don’t feel anywhere else. When I returned from my trip I was really interested to see how the Grampians stacked up against all the areas I visited. It’s nice to be able to say that in my mind without a doubt the Grampians is a world class climbing area. 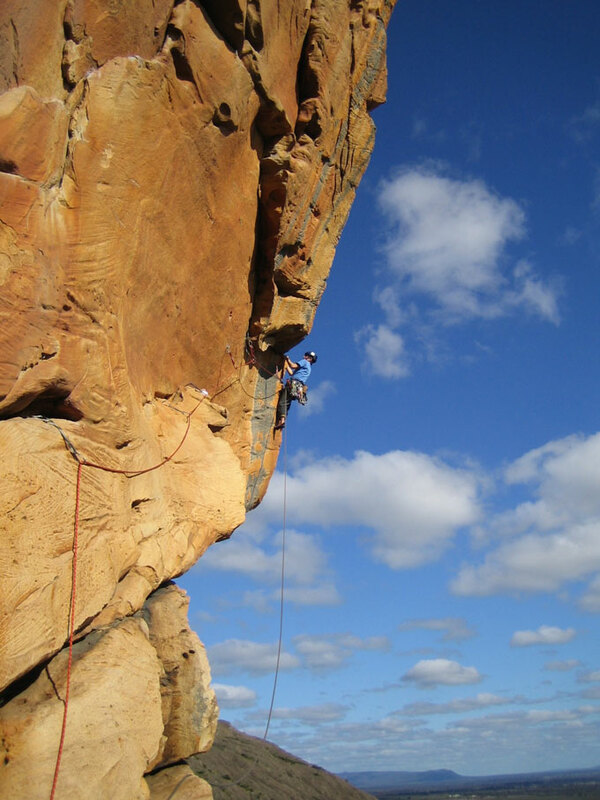 While it doesn’t have huge height the Grampians does have super high quality climbs across all styles (except slabs, but who wants to climb slabs anyway?) In recent years the ‘secret’ of the Grampians has got out to the world's elite climbers and they agree that it is a special place. Bogong stocks a huge selection of local and overseas rock climbing guides.